City Express Plus Cancun Aeropuerto Riviera is a 4* hotel located in Cancun-Airport Area, Mexico. It features 120 rooms and swimming pools. 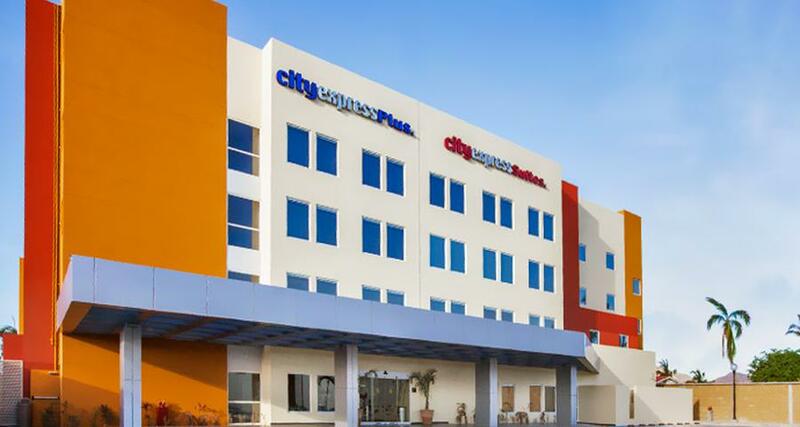 City Express Plus Cancun Aeropuerto Riviera, located just 10 minutes from Cancun International Airport, is a modern business hotel located near the Puerto Morelos highway, which offers easy access to downtown and the hotel zone of Cancun. It is within a few minutes from various tourist attractions, malls, recreational parks, lookout points, beaches, restaurants, nightclubs, markets and more. All of the guestrooms and facilities are equipped with excellent services and amenities to enjoy a pleasant and productive stay. City Express Plus Cancun Aeropuerto offers a breakfast area, laundry, dry cleaning, Wi-Fi, a business center, a meeting room and parking.